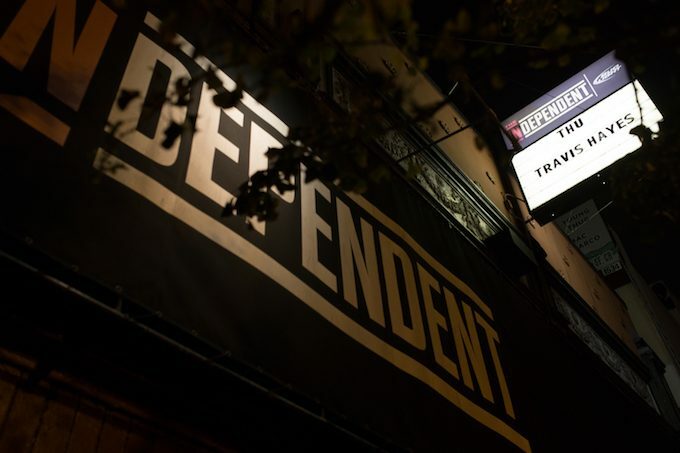 Local music was in the air last Thursday at The Independent. 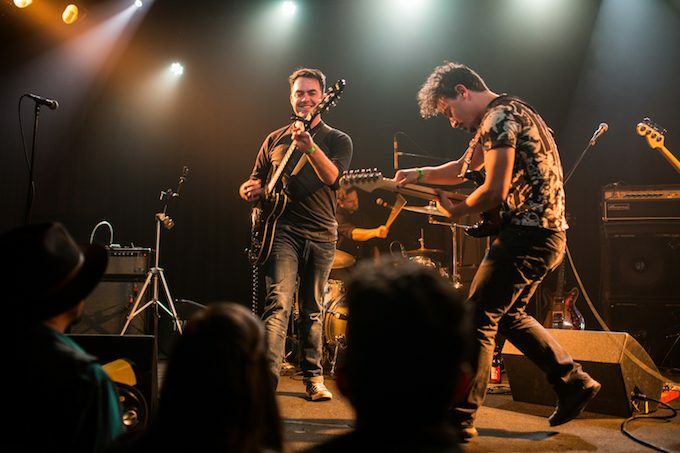 The night was filled with rock ballads, country notes, and — as SF-based headliner Travis Hayes promised — some music that spoke straight to the hearts of all those sad boys and girls out there. The evening kicked off with two local bands, Vandella and M. Lockwood Porter. While we didn’t get to see Vandella take the stage, we heard their groovy beats had the crowd moving. 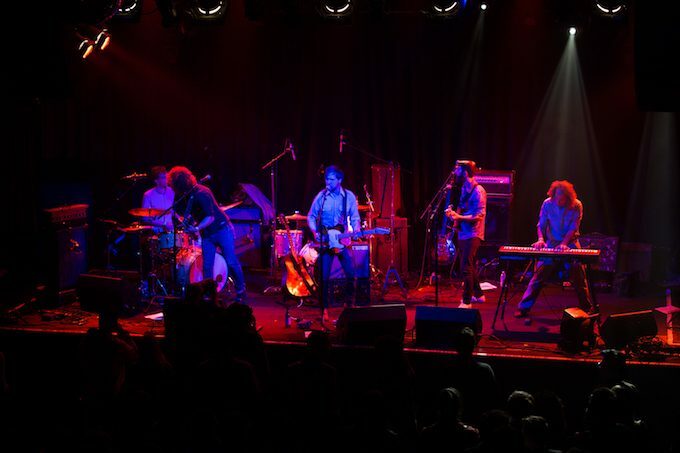 Berkeley-based M. Lockwood Porter and his band then took the audience on a toe-tapping Americana romp to celebrate the release of their album How to Dream Again. With a harmonica at his mouth and just the right touch of country twang, Porter had us thinking of Bob Dylan in his Nashville Skyline years. Comparisons aside, Porter has an energy that’s entirely his own. At the end of the set, Porter was joined by both Vandella and Hayes for a rollicking cover of “Dancing in the Dark.” Looking out at these Bay Area artists and the wild audience was certainly a beautiful sight to see — and one that thoroughly reaffirmed that the SF music scene is alive and kicking. 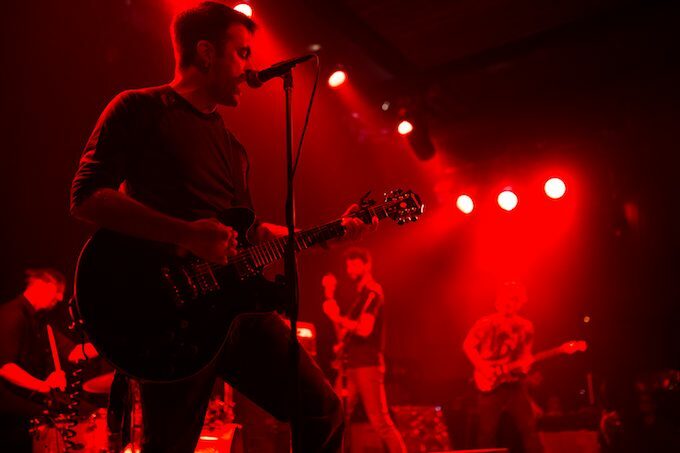 Travis Hayes takes the stage at The Independent. Despite the sorrowful lyrics found in many of Hayes’ tunes, it certainly looked like he was having the time of his life when he took the stage for his set. 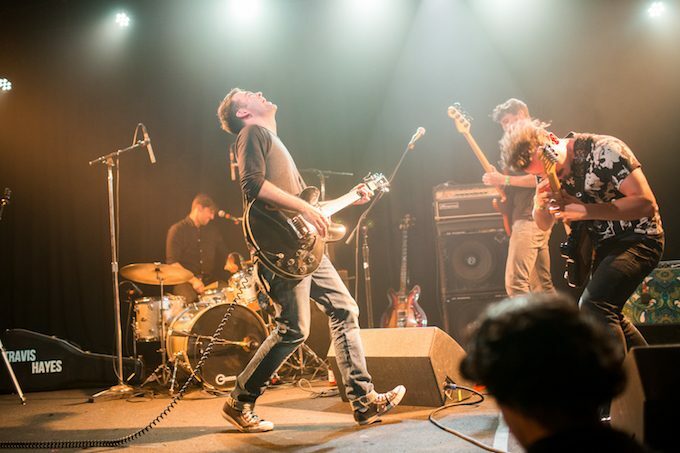 With friends, family and a whole slew of fans singing along, Hayes beamed while rocking out with his gang of merry bandmates. Hayes, who is currently working on his forthcoming LP Sleepless, played tunes from both Young Daze and Love Songs. 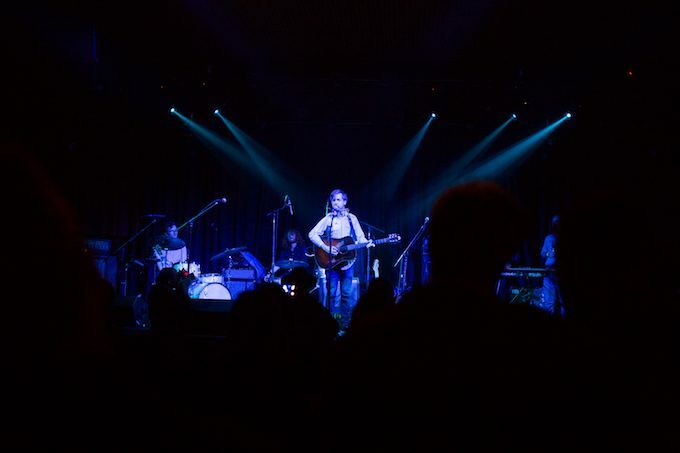 A core member of the SF music scene, Hayes has made a steady rise to attention, playing the beloved Noise Pop earlier this year and performing at hallowed venues like the Great American Music Hall and Harvard and Stone in Los Angeles. Of course, it wouldn’t be a Travis Hayes show without an acoustic song or two, and the singer-songwriter did not disappoint. While the audience swayed and held up lighters (and the occasional cellphone), Hayes did what he does best — he sang some sad songs. 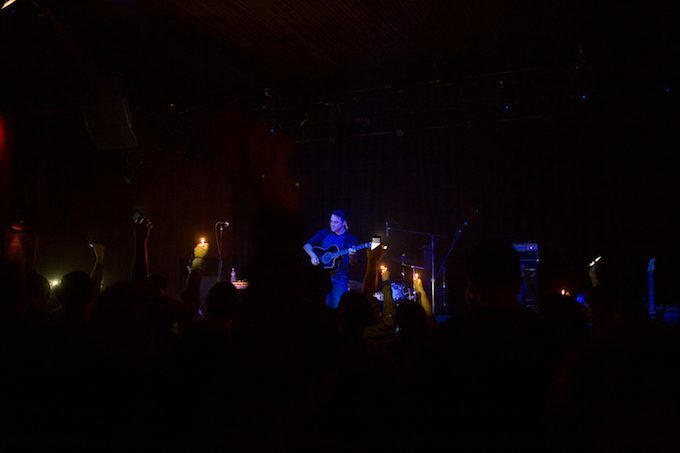 Hayes’ gravelly voice and quiet strumming lent a somber tone to the set, particularly when the singer spoke about just how grateful he was to be celebrating his 10th year living in SF. Despite the heartfelt moment, it wasn’t too long before the rest of the band came back to close out the evening with some jamming tunes that left the crowd in an uproar of applause.